The Iowa Agriculture Water Alliance (IAWA) Business Council brings a unique private-sector set of skills and perspectives to work on improving water quality. The Business Council will work with the existing IAWA Advisory Council and other partners to advise and guide plans that define the next steps in the Iowa Nutrient Reduction Strategy to build the necessary conservation infrastructure. Dave Schwartz is a farmer from Guthrie Center and is the Executive Vice President of Sales in Plant Nutrition at Verdesian Life Sciences. In this role, he manages 20 sale professionals across 10 Midwestern cornbelt states. Dave earned a B.S. in Business Management and Mass Communications from Buena Vista University, leading him to a long, ag-focused career beginning with GROWMARK as a crop specialist. 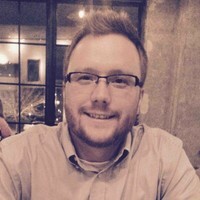 He has also served as a sales representative and trainer for Ciba-Geigy and Vice President of New Product Development for Specialty Fertilizer Products and Sales Manager for Van Diest Supply Co. .
Adam Herges is the Sustainability Agronomist with The Mosaic Company. Adam’s role includes being the technical research agronomist for Public Affairs, supporting nutrient stewardship, and nation-wide implementation of the 4Rs (Right rate, Right source, Right time, and Right place) to optimize yields while mitigating and minimizing nutrient runoff to water resources. Adam’s prior roles include working for the Minnesota Department of Agriculture while finishing his B.S. in Applied Plant Sciences at the University of Minnesota. He then became a graduate research assistant where he studied the effects of cover crops on water quality in agricultural production systems. After receiving his M.S. in Agronomy, Adam was the Director of Research and Market Development for the South Dakota Soybean Association and the South Dakota Soybean Research and Promotion Council. Kent Klemme, President of Hagie Manufacturing, is responsible for all aspects of the joint venture between John Deere and Hagie Manufacturing including the operations, product development, and the transition from Hagie’s factory-direct sales and service model to integrating Hagie’s high-clearance front boom sprayers into the John Deere global distribution channel. Prior to this, Kent was the Manager of Program Management for the John Deere Seeding and Tillage product lines and related strategic innovation projects. Kent was also the Design Engineering Manager for John Deere Application Equipment for several years. In addition, he was the Manager of Product Verification and Validation, Manager of Program Management, and Manager of Engineering for the European Sprayer Division. Prior to joining John Deere Kent worked for Ag-Chem Equipment for several years in various product engineering and manufacturing roles. Kent received his B.S. and M.S. in Agricultural Engineering from South Dakota State University. 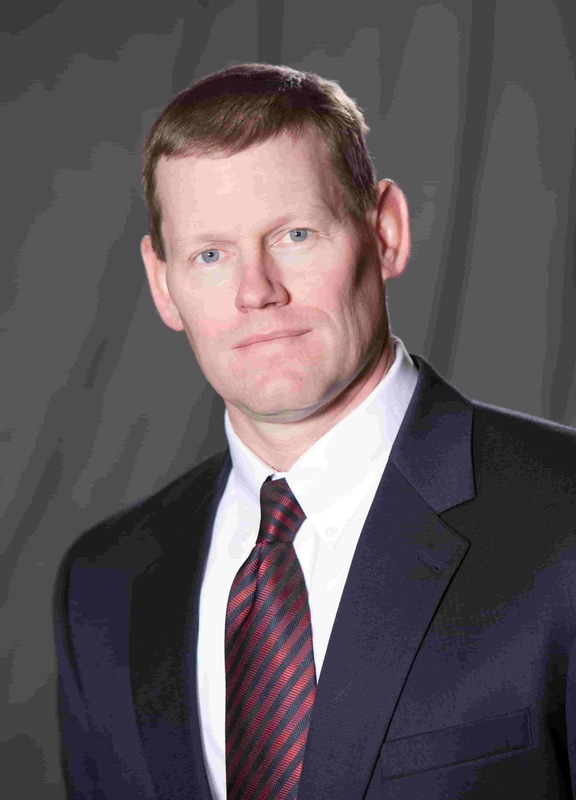 Kent also holds an Executive MBA from the University of Chicago. Agri Drain manufactures high-quality, durable and affordable products for use in conservation practices that improve water quality, conserve water and wildlife habitat, reduce flooding, minimize soil erosion and nutrient loss, and provide on-farm agronomic benefits. We are committed to customer service and the conservation community. The Context Network believes in growing a world that is more productive, efficient, and sustainable. They do that by helping clients like you achieve remarkable results. Their passion for agriculture is what drives them and is one of the main reasons why they have become a premier global and agribusiness consulting firm in advancing agriculture. By focusing on market assessment, competitive landscape, option evaluation, technical development and more, they provide customers with the strategic perspectives needed to outperform competition. The Context Network is positioned to help develop and execute plans that deploy organizational capital to more effectively address goals, regardless of where one is in the planning process. Corteva Agriscience is the world’s leading developer and supplier of advanced plant genetics, providing high-quality seeds to farmers in more than 90 countries. Corteva provides agronomic support and services to help increase farmer productivity and profitability and strives to develop sustainable agricultural systems for people everywhere. Science with Service Delivering Success®. For over 30 years, EFC Systems has delivered innovative software solutions throughout the entire Agribusiness supply chain. Their dedicated team members employ modern technologies and anticipate industry trends to provide their client partners the tools and insight that are needed to more effectively manage resources and risks. Their business is about making others’ better and more efficient. Whether wholesale or retail, a single location or hundreds, EFC Systems has the experience and products to improve customer engagement and business processes. Ecosystem Services Exchange (ESE) works with private and public landowners, producers, contractors and facility managers to improve farm profitability while simultaneously improving and protecting our valuable ecosystem and natural resources. ESE can assist with the planning, design, managing and monitoring of in-field or edge-of-field water management practices that improve productivity and conservation on working ag lands and quantify environmental benefits to support environmental markets and facilitate water quality trading. Farm Nutrients began as a company handling the management of chicken litter in the Storm Lake, IA area and now manages a business that uses the nutrients on about 250,000 acres. Also offering customers services such as seed, soil sampling and testing, nitrogen products and crop protection products, the Farm Nutrient professionals help farmers be more efficient with resources. Hagie Manufacturing LLC, located in Clarion, IA, optimizes customers’ growth by providing the most innovative crop protection solutions in the agriculture industry. Hagie continues to build upon a rich heritage as an industry leader in the business of solving problems. Innovative solutions and versatile attachments enhance capability for performing timely and precise full season crop protection, Nitrogen and cover crop seeding applications for optimal soil health and maximum yield productivity. A company driven to doing meaningful work, Hagie Mfg.’s application solutions are purposeful tools to drive economic benefits, while also performing responsible stewardship and best agricultural practices. A foundation with values built around employees, customers and innovation delivers a superior customer experience, while inspiring sustained growth and success. Houston Engineering, Inc. (HEI), is a community-focused engineering firm located in the Midwest offering a variety of technical services that are key to watershed planning, water quality, and sustainability. Serving the agribusiness sector as a thought leader, our interest is to see resources improved through the implementation of science-based and technically defensible land stewardship solutions. Using this approach, HEI can help maintain and strengthen the economic viability of both individuals and communities. La Crosse Seed, LLC. endeavors to help lead the growing interest in cover cropping, soil health practices and water quality by providing education to distribution channel partners accompanied by high quality seed and excellent service. Land O'Lakes SUSTAIN™ is a leading conservation solutions provider, advancing and connecting stewardship efforts throughout the food system with scale — from farmers to ag retailers to partners like food companies. Every farmer’s stewardship journey is different, and Land O'Lakes SUSTAIN™ aims to meet farmers where they are by offering a customized, systems-based approach to conservation and sustainability. For Land O'Lakes SUSTAIN™, sustainable agriculture means a farm is continuously improving its stewardship of the air, soil and water, safeguarding natural resources for generations to come. A sustainable farmer makes business decisions that keeps his or her operation strong and resilient for the long term. And, a sustainable food system also supports a more connected relationship between consumers and those who work hard to feed them. At The Mosaic Company, helping the world grow the food it needs is more than just our mission – it’s a call that inspires us to do our work sustainably. As one of the world's largest producers and marketers of concentrated phosphate and potash crop nutrients, we are committed to protecting our natural resources and are actively involved in educating farmers, retailers and other stakeholders on the importance of the 4Rs of nutrient stewardship and balanced plant nutrition. At Nutrien, their purpose is to grow our world from the ground up. As the world’s largest provider of crop inputs, services and solutions, Nutrien plays a critical role in feeding the future by helping growers to increase food production in a sustainable manner. They’re moving the agriculture industry and the world forward – today and for generations to come. Nutrien is a Canadian fertilizer company based in Saskatoon, Saskatchewan. It is the largest producer of potash, and the second largest producer of nitrogen fertilizer, in the world. It has 1,500 retail stores and more than 20,000 employees. Peoples Company is a leading agricultural real estate brokerage and land auction company specializing in land management, land appraisal and land investing services offered in 14 Midwest states. Based in Clive, Iowa, the company’s 70-person team has established key relationships with major institutional investors in the land investment space and has access to hedge funds, pension plans and private land funds in the land investment space. The cornerstone of Peoples Company’s aggressive marketing efforts is the annual Land Investment Expo, which attracts more than 600 attendees to the heart of ag country each January. 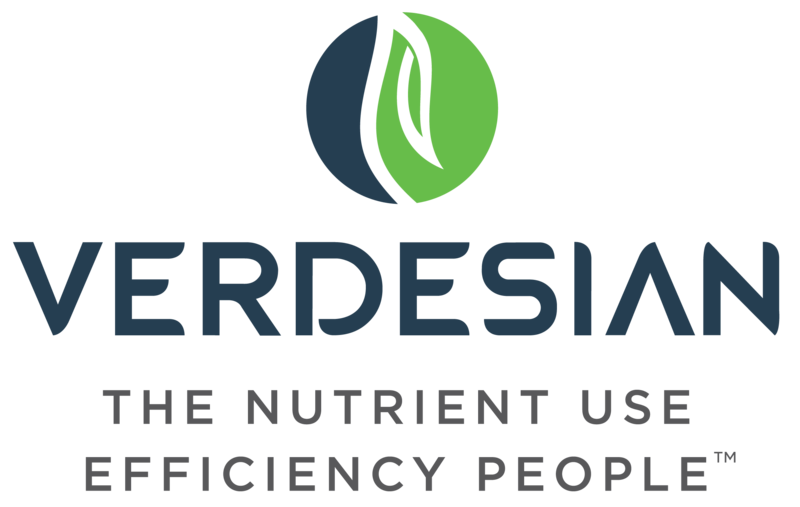 Verdesian Life Sciences is advancing plant health and nutrition through the development of nutrient management and efficiency technologies, nutritionals and micronutrients, seed treatments and inoculants, crop health chemistry and biologicals, as well soil surfactants for the agriculture, turf and ornamental industries. Verdesian remains committed to the continued research and development of environmentally sustainable products.